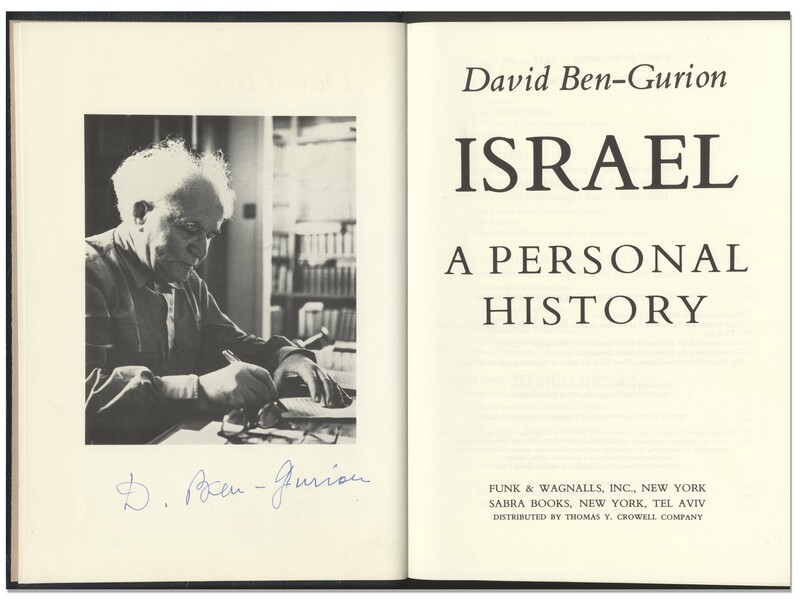 David Ben-Gurion signed limited edition of ''Israel: A Personal History'', his 862pp. 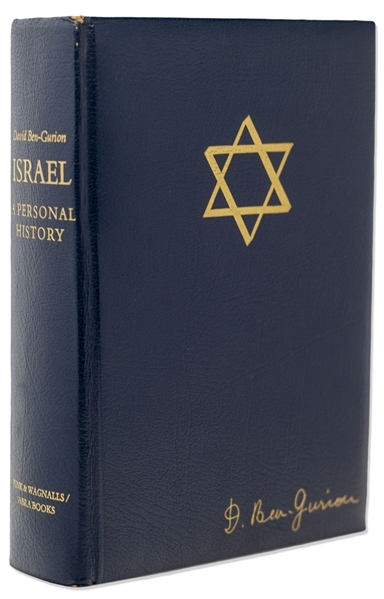 tribute to the country he founded and led as its first Prime Minister. New York: Funk and Wagnalls Inc., 1971. 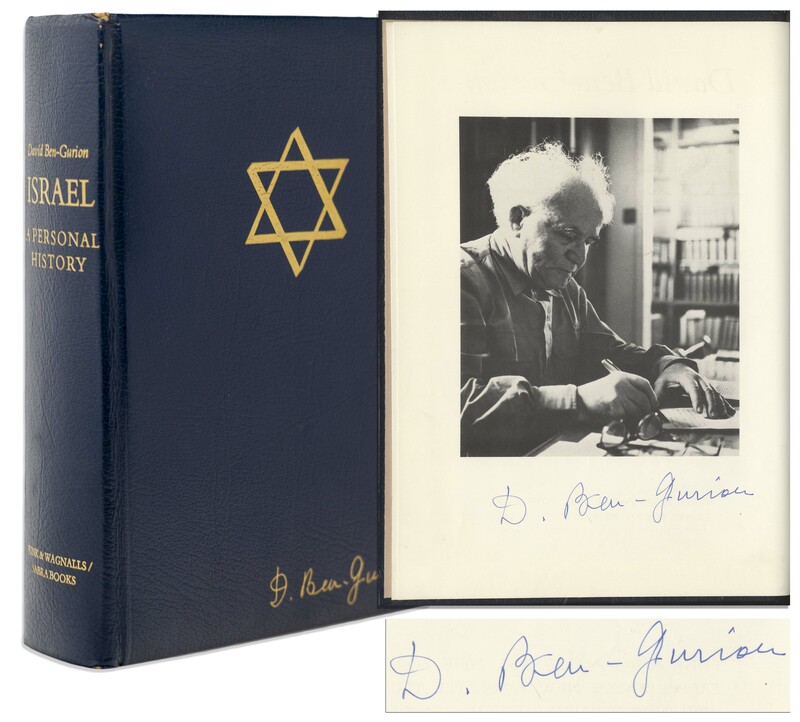 Ben-Gurion signs ''D. Ben-Gurion'' below his frontispiece portrait. Volume is #1,658 of 2,000 in the limited edition, beautifully bound in navy leather boards with top edge gilt and silk moire endpapers. 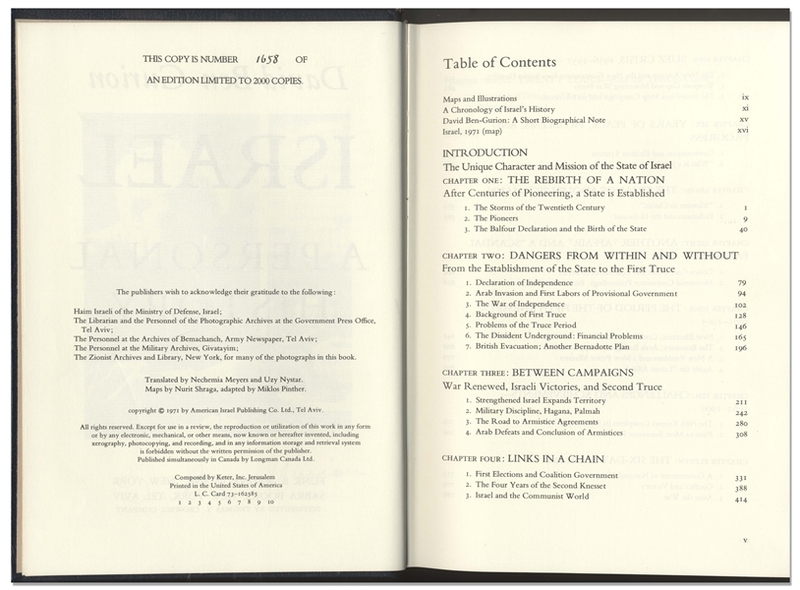 Measures 7.25'' x 10.25''. Chip to top corner of backstrip, otherwise near fine, in unusually well-preserved condition.